Your Genetic Genealogist: Ancestry.com's Autsomal DNA Launch - First Look! CeCe - the "Shared Surnames" feature is obviously awesome! 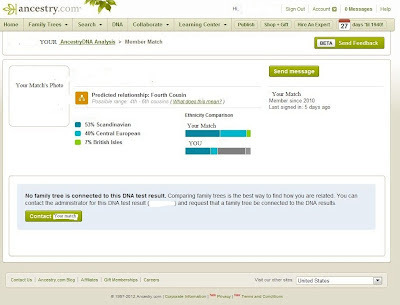 In one of your screenshots says it says "no family tree is connected to this result" - aren't all the early testers people who already had ancestry.com accounts? so how does that happen? is it manual or automatic that a tree is "connected" to an account? You have the option to link your results to your tree. You can link to yourself in any tree that you have in your Ancestry.com account. Thanks Ben and CeCe. This will certainly up the ante for 23andme and FTDNA. Competition is good!